As a water quality project, the Holdenville Waterworks include two facilities: 1) a filtration and pump house and 2) water treatment basins. 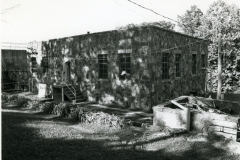 A single story, rectangular (51′ x 38′) building, the filtration and pump house is constructed of untooled and uncoursed native sandstone. 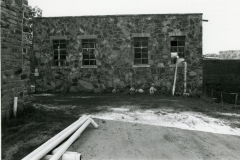 The roof is flat with parapets, the walls are capped with cut stone, and steel casement windows, placed singly, sit between concret sills and lintels. 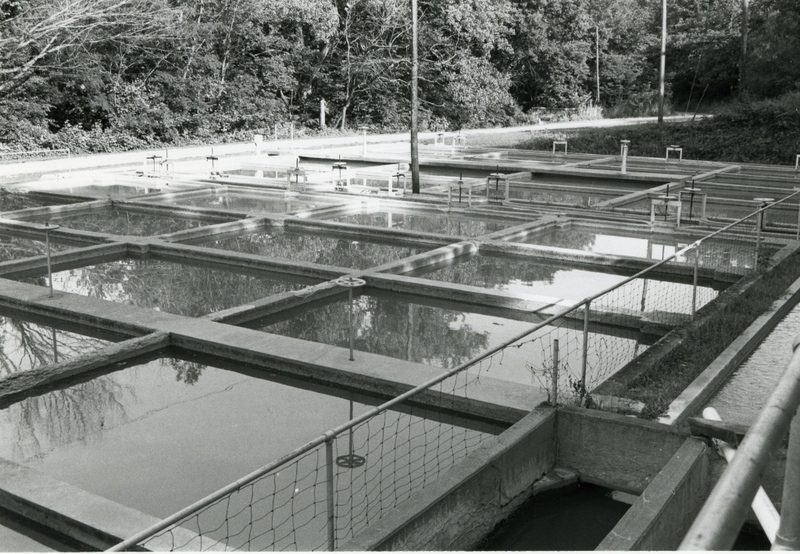 The water treatment basins measure 128 feet by 71 feet. Constructed of poured concret, they are subterranean structures filled with sand that open at ground level. 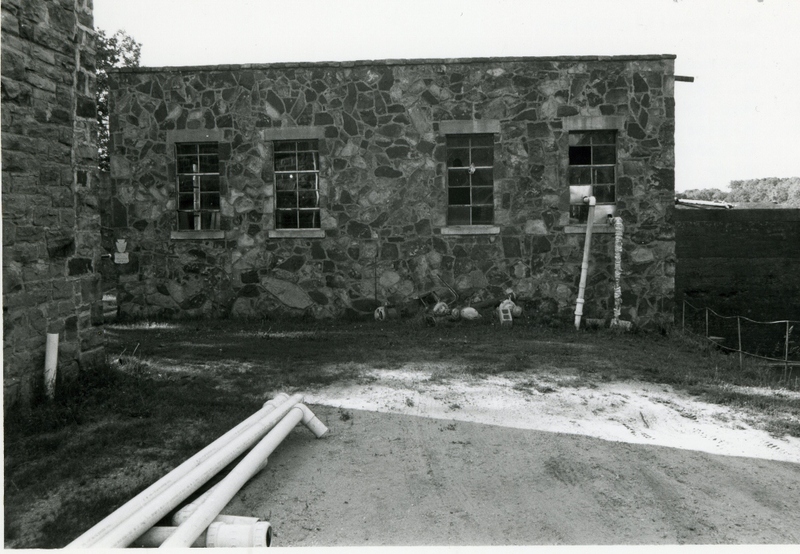 The Holdenville Waterworks facilities are significant in that they demonstrate the wide range of projects undertaken by the WPA. In this instance the interest was water quality. 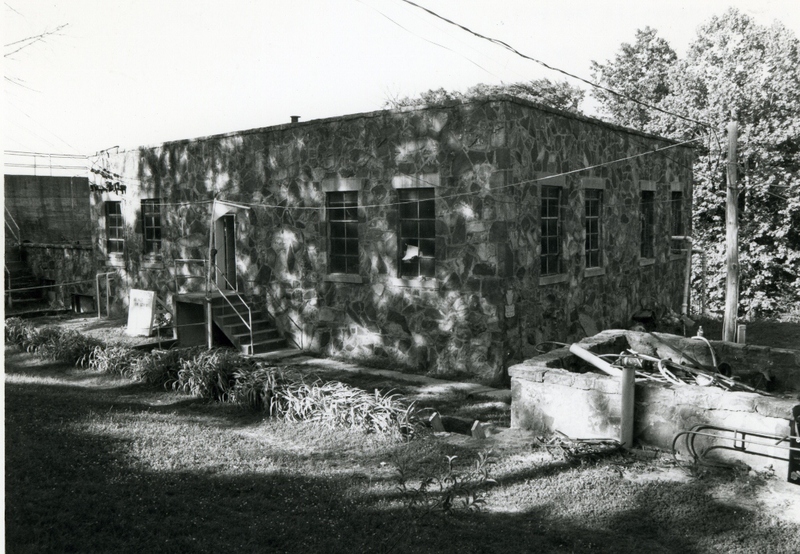 Of the several similar projects sponsored in Southeastern Oklahoma, the Holdenville works is the only one still operational. Architecturally the pump house and treatment basins are significant within the community in terms of type and character of workmanship; the pump house is notable for construction materials used. Both are remarkable because construction of them provided needed jobs for destitute workers at a time when few employment opportunities existed. VERBAL BOUNDARY DESCRIPTION: Follow state high No. 48 two and one-half miles southeast of Holdenville to a county road that intersects from the east; go on that road about one-half mile until it dead-ends at the waterworks. The nominated property begins at a point 2325 feet east and 1200 feet north of the SW corner of Sec 29, T 7 N, R 9 E, and goes west 80 feet, north 150 feet, east 80 feet and south 150 feet; and from the NW corner of said tract go 45 feet north for a new point of beginning, the line then proceeding east 45 feet, north 60 feet, west 45 feet, and south 60 feet.